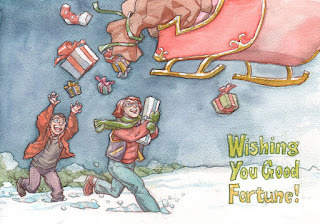 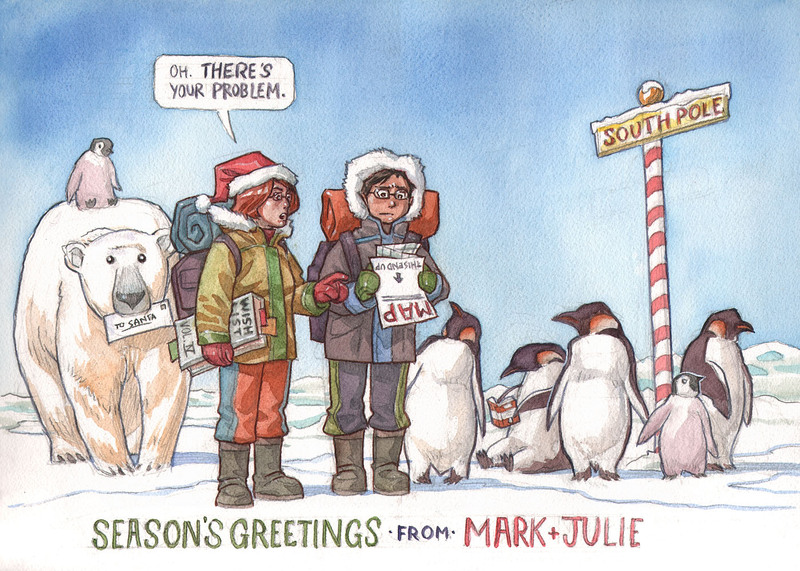 Here's this year's traditional holiday greeting from me and Julie, for those of you who aren't on our e-mail list. 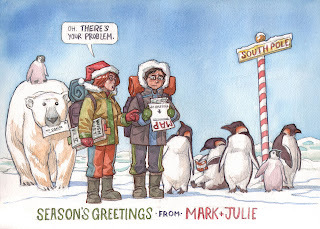 Yes, there is an explanation for the trans-polar crossover; the polar bear is delivering his own message to Santa, and made the mistake of following us. 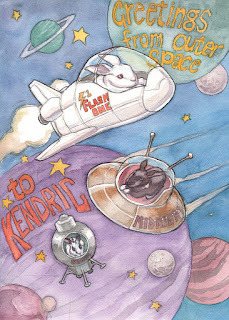 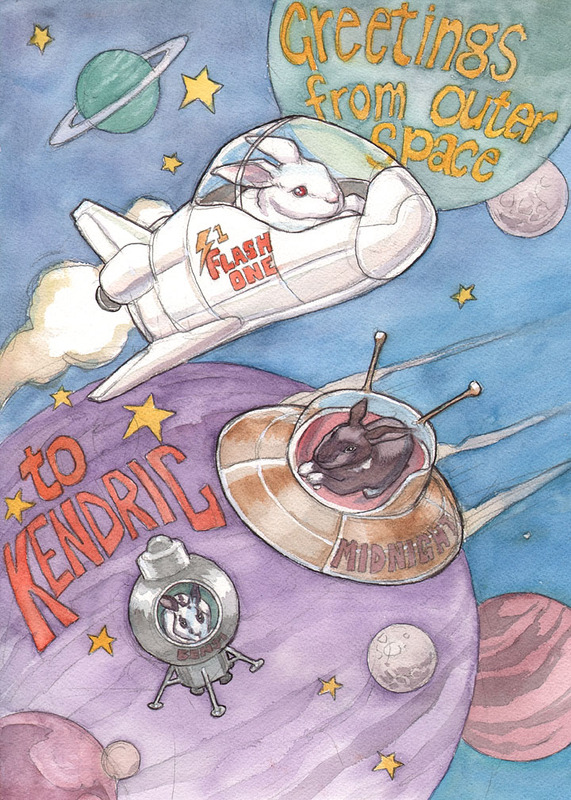 ...and a birthday card for my nephew, featuring the ever-popular bunny rabbits.